IT'S REMARKABLE what five centuries can do for a man's reputation. When Richard III, the last Plantaganet king of England, was killed at the Battle of Bosworth Field in 1485, his corpse was stripped and hauled in disgrace through the streets of Leicester, "all besprinkled with mire and blood ... a miserable spectacle," as Holinshed's Chronicle recounted. 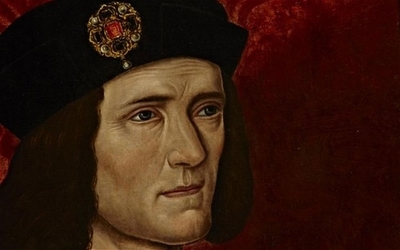 For generations, Richard III was vilified as a murderous usurper, devoid of conscience. But history's verdict has turned out to be more generous. This week, the medieval king, whose bones were found under a parking lot in 2012, will be reburied in Leicester Cathedral with full reverence and honor. For generations Richard was vilified as a cold-blooded usurper who had his young nephews, rivals to the throne, murdered in the Tower of London — a reputation cemented by Shakespeare's venomous depiction of the king as "that bottled spider, that foul bunchback'd toad." But the remains of the long-lost monarch, whose death marked the end of the Wars of the Roses, have been welcomed back with extraordinary dignity and emotion, befitting a ruler now extolled by many as an enlightened reformer who reigned with courage and integrity. It is a mistake to imagine that the judgments of history are inevitable and predictable, or to assume that today's adamant consensus will win tomorrow's approval. "History has an abiding capacity to outwit our certitudes," ruefully conceded the historian Arthur Schlesinger Jr., after the collapse of the Soviet Union — a Cold War denouement that academic elites had dismissed as a pipe dream. Time and again, those certitudes fall by the wayside. Yet the appetite for making such pronouncements with categorical certainty never seems to go out of fashion. In the closing passage of his 2010 memoir, Decision Points, former President George W. Bush writes that he believes that some of the choices he made were right and that others were wrong. But, he admits, "it's too early to say how most of my decisions will turn out." Bush points to President Gerald Ford's pardon of Richard Nixon — "once regarded as one of the worst mistakes in presidential history, [but] now viewed as a selfless act of leadership." The realization that scholars are still debating George Washington's presidency, Bush has remarked more than once, made it easier for him to tune out opinion polls and headlines. 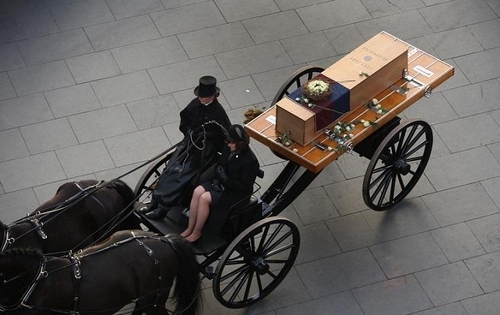 The coffin containing the remains of King Richard III is carried in procession for interment at Leicester Cathedral in England. Avidly read history, and you're constantly being amazed at how frequently informed opinion turns out to be dead wrong. At the start of the Civil War, notes David Herbert Donald in his best-selling biography of Abraham Lincoln, the smart money said it would be over and done with in a matter of weeks. Secretary of State William Seward thought the rebellion could be suppressed in 90 days; the New York Times predicted victory within a month. It consumed four years, and 750,000 American lives.